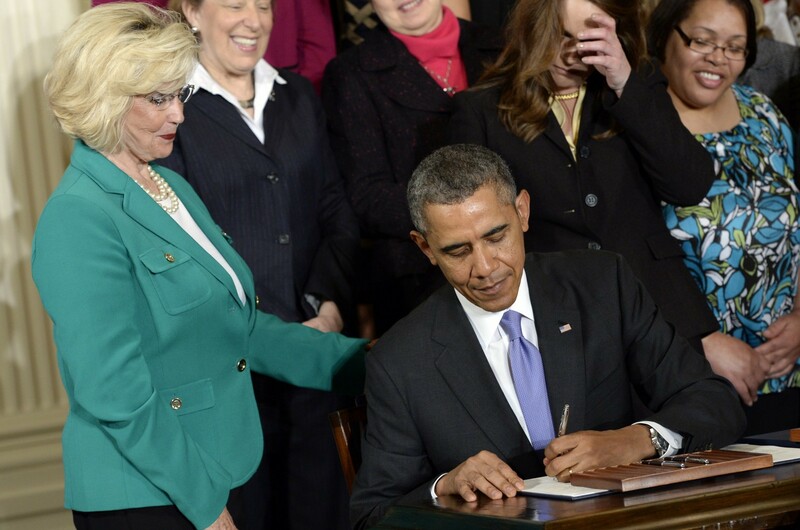 President Obama Just Proposed an Executive Action on Equal Pay. Here’s Why It Matters. The President’s announcement is a powerful and long-overdue step toward making the abstract promise of equality enshrined in our equal pay laws a concrete reality. The Equal Pay Act of 1963 and the anti-discrimination laws that followed have led to enormous progress from the days when Help Wanted ads featured separate job postings for women and men. So, in light of this progress, why do women still rank pay discrimination among their top concerns? One reason is that vigorous enforcement of the laws has been undermined by a major flaw in the enforcement toolbox: limited access to pay data. Today, President Obama announced a critical step toward addressing this problem with a proposal to require private sector employers with 100 or more employees to submit pay data on an annual basis. This data would shed new light on how much employees are being paid in different job categories. Critics may easily dismiss the President’s announcement as a mere gesture that will generate more bureaucracy but do little to level the playing field. But these are the same critics who often argue that there is no need for new laws addressing equal pay because there are already laws on the books to remedy any problem. These complaints are misplaced and miss a critical point: In the world of pay discrimination, numbers are key. To prove unequal treatment, you need to be able to see if there are, in fact, valid reasons for pay differences, like different levels of experience or education, or different types of work being performed. Pay data may not tell the whole story of who earns what and why, but there’s no objective measure without it. The now fairly well-known case of Lilly Ledbetter is instructive. For years, Ledbetter’s employer paid her unfairly without the discrimination ever coming to light. She found out only because a co-worker slipped a note into her locker revealing that she was being paid thousands of dollars less than her male co-workers performing comparable work. Ledbetter’s case was finally investigated only after she had filed a charge with the Equal Employment Opportunity Commission and the pay data was scrutinized to document the history of the discriminatory salary decisions that were made. The pay data helped provide a roadmap, long after employees left and memories failed. But if Ledbetter’s employer had been required to submit pay data on a regular basis — as this new proposal would require — the discrimination might have surfaced sooner, or at least have prompted her employer to take corrective action for fear of being targeted for investigation. Requiring employers to submit pay data can lead to better pay practices that benefit employers, too. Having to submit data regularly may encourage contractors to review their own policies and procedures more frequently to ensure compliance with the law. Such review may increase chances of detecting — and correcting — problems at an early stage before they expose a company to potential liability. In fact, companies like SumAll, a marketing analytics firm, voluntarily make their salary information available to all employees to promote greater pay transparency and minimize the likelihood of pay disparities. Further, collecting pay data doesn't have to be burdensome. The Administration’s proposal would modify an existing form employers are required to submit so as to minimize any burden and build on systems employers may already have in place. Unfortunately, Congress has been unable to move forward on efforts to strengthen our equal pay laws and combat pay discrimination. In the absence of congressional action, however, the President’s announcement is a powerful and long-overdue step toward making the abstract promise of equality enshrined in our equal pay laws a concrete reality. Better information in the form of pay data from employers may not, on the surface, look like much. But it is something that can make a real difference in the lives of women, men, and working families across the country. It is critical to finalize this proposal as quickly as possible because it’s progress that is sorely needed. Jocelyn Frye is a senior fellow at the Center for American Progress, where her work focuses on a wide range of women’s issues, including work-family balance, pay equity, and women’s leadership.